Introducing your new favourite mug! 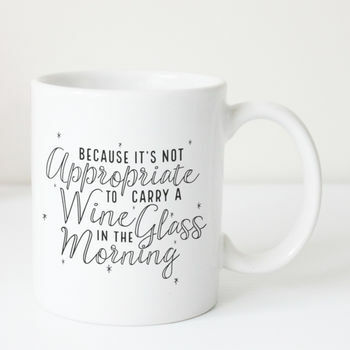 'Because it's not appropriate to carry a wine glass in the morning' typography mug. 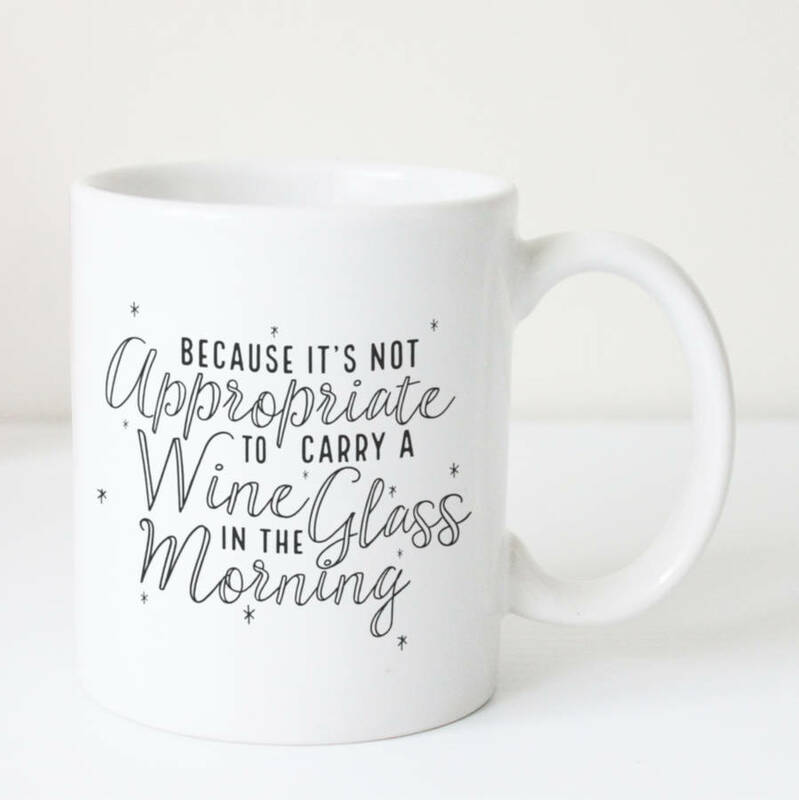 'Because it's not appropriate to carry a wine glass in the morning' typography statement mug is the perfect gift for wine loving friends and family.